Wonderful modern eyelet curtains with an eye-catching gingham design on a plain pink background. 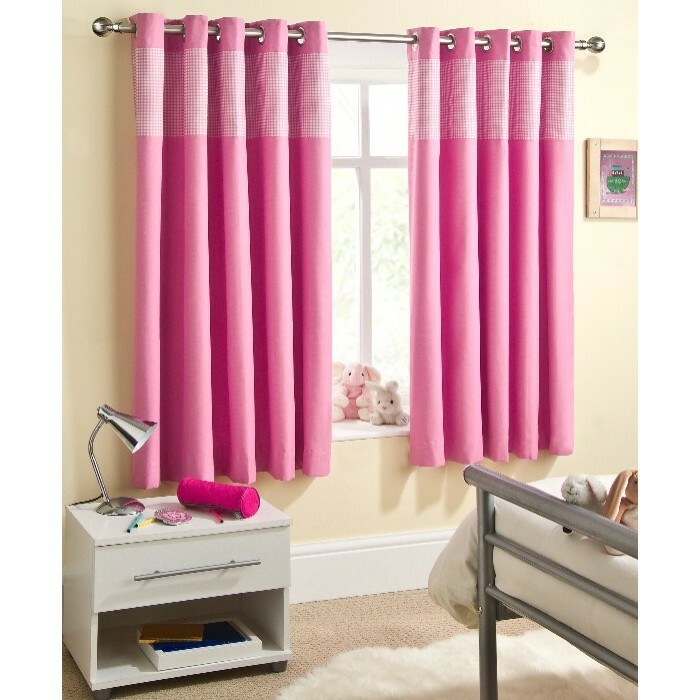 Energy saving, thermal curtains that will block out the sun during summer and keep in the heat during winter. With lifestyle awareness becoming a national issue, Dr Hilary Jones, the nation’s favourite GP, has been working with a leading UK textile company to produce The Enhanced Living ® Collection, aimed at improving your health and wellbeing throughout the year. Further to this, a study by the Nation Sleep Foundation, found out that, 30% of adults have less than 7 hours of sleep a night, and in the survey, 73% said a dark room is important to maintain a good sleep, while 74% said a quiet environment was imperative in order to have a good night’s sleep. The Enhanced Living, stylish, readymade curtains are proven to block out the majority of light and reduce external noises. 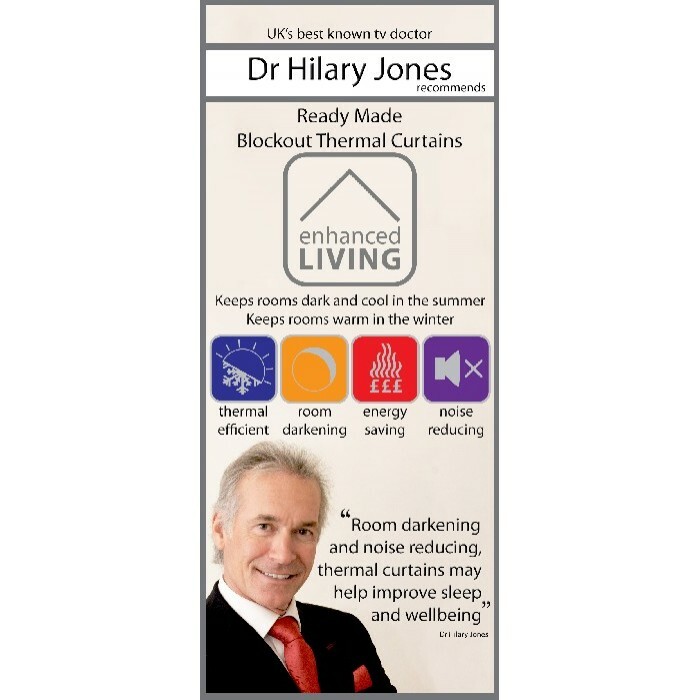 Dr Hilary recommends their use to improve sleep quality and general wellbeing. 100,000 car crashes are caused annually because of drowsy drivers; as a result, sleep is extremely important, it also reduces stress, improving concentration and abolishing daytime drowsiness. The Enhanced Living Collection also aids in reducing your energy bills, with as much as 20% of your heat being lost through your window. The thermal properties in the Enhanced Living Collection aims to reduce this, keeping your house warm in the winter, and cool in the summer.